Another bright sunny day in cornwall, and nice to be working out in it! 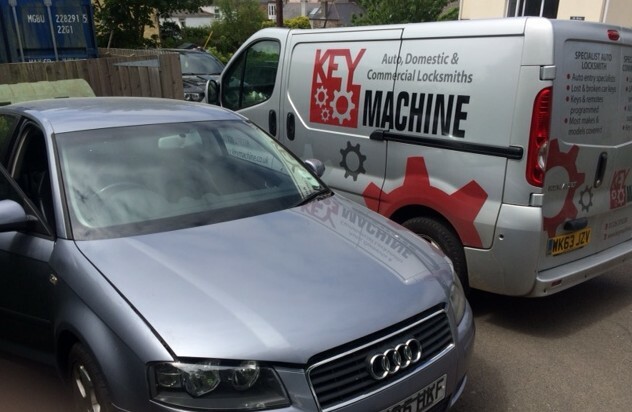 Today one of are first jobs was tackling a 2005 Audi A3 with lost keys in camborne, customer had phoned about looking for other auto locksmiths, but they all said it couldn’t be done and the vehicle would have to go back to the audi dealership. Well that was until they phoned us, where the response was “yes, no problem do you want a remote key and a spare?”. We gave the customer a price and they where happy to go ahead straight away, as they had already phone the audi dealer who had told them it would be a minimum of two weeks to obtain the keys from germany, and that they would also have to get the vehicle recovered to the dealership for programming at more expense. First job was to pick the igniton lock and decode it and then cut the mechanical blades for the vehicle, we do this with a special tool, once it’s picked to a turned or open position we are then able to determine the cuts of each wafer within the lock barrel, with this information we can feed it into the computer to confirm the key number and then using a specialist computerised machine cut the key. Before we could start work on coding keys we first had to make sure we had adequate voltage, as low voltage can cause programming issues, we always carry a boost pack just for this reason, as sometimes we attend vehicles with lost keys that have been sat idle for months whilst the owners look for the original keys. As you can see in the picture above the next phase was to setup our programming equipment, the reason the other auto locksmiths couldnt do this job is they are unable to create “dealer keys” these keys have a unique piece of code on it which is specific to each individual vehicle, however with the equpiment we use for audi keys we are able to extract this code and write it to the chips making them ready for programming. 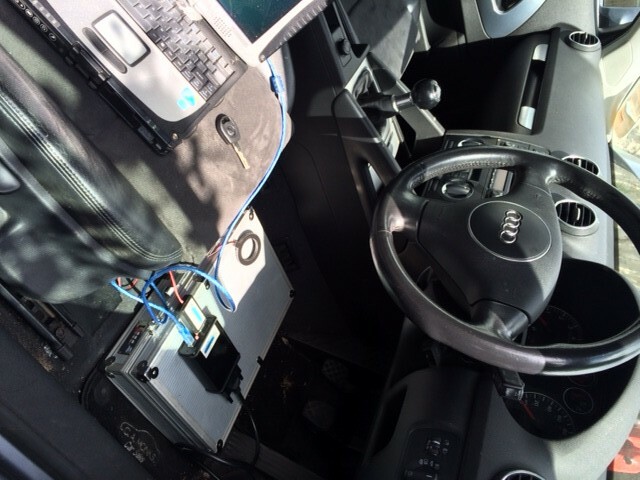 As this was a canbus system, we were simply able to read the file from the instrument cluster, and add in the each of the individual audi keys to that file and then write it back to cluster, once done the vehicle is ready to start. 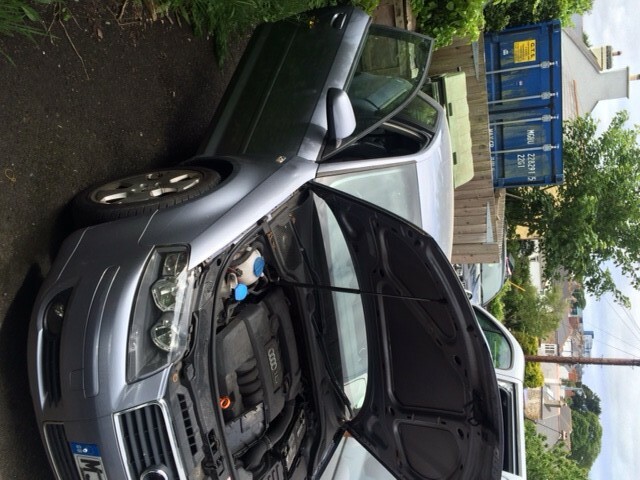 The audi remotes where then coded in with a seperate diagnostic procedure, and the car was back on the road with one very happy customer!!! For more information on what car keys and models we cover and the towns and areas we cover in cornwall, please call on 01326 376338 or click HERE to go to the contact page.